With a tiny basement space such as this, you want to make your bar small as well. And there should be no restrictions when it comes to the decorative aspects. Purple is ideal, definitely, when it creates the checkered surface of the bar bench. 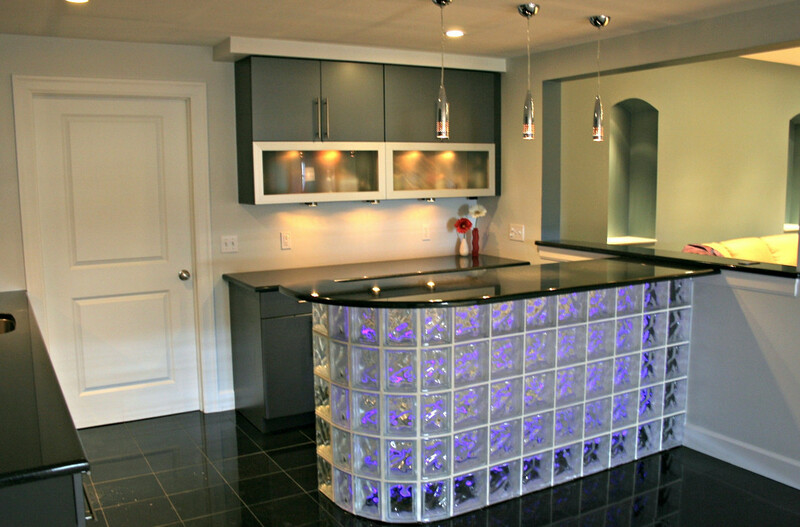 Make the counter top glossy, perhaps use stainless steel, and add a small cabinet for drinks behind it. Add lights to this area and paint most of your surfaces white to create a false illusion of space.